Ryan "The Tank Engine" Thomas will again be fighting at the XFC in search for a submission. This time he will be fighting fellow Bellator veteran Dominique Steele at XFC 27: Frozen Fury live on HDNet. 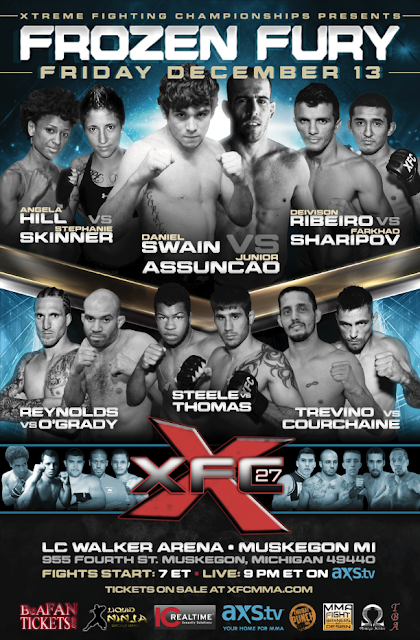 Ryan has 3 fights and 3 submission under the XFC banner where he is looking to continue his dominance.